Easy and effective way to help provide pain relief for both cervical and sacral discomfort - Use for neck, back or under knees. 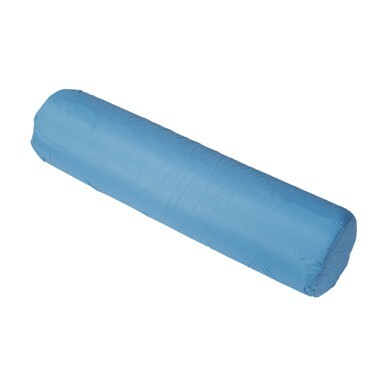 • Relieve tension off your neck or back with this DMI Comfort Foam Roll. It targets pressure points in the right areas to give you great comfort and support. • Made of highly resilient polyurethane foam that comfortably cushions your body as you sit. • It's great for neck, back and under your knees, making this roll extremely verstatile. Provides excellent lumbar support. • Perfect for home and travel! This lightweight roll is convenient and easy-to-carry. Great for office chairs, the plane, car, boat or RV. • Removable polyester/cotton cover is machine washable. Measures 5" x 19". Sold by the each.